Inside nearly every one of us is a 5 year old who’s just pissed that we didn’t end up becoming astronauts. It may be too late to live out that dream, but it’s not too late to watch Mickael le Goff’s music video for Robot Koch’s Eclipse, which really is the next best thing. 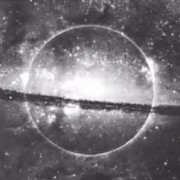 Comprised of real images of space culled from NASA, ESA and GoogleEarth, the video takes you on a tour of the solar system, showing you the big-name attractions like Saturn’s rings, as well as the out-of-the-way clusters of stars that only locals know. (source). 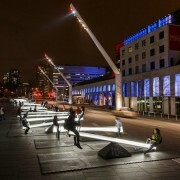 Design studios Lateral Office and CS Design collaborated with EGP Group’s engineers to produce 30 interactive seesaws that emit radiant light and sweet sounds. 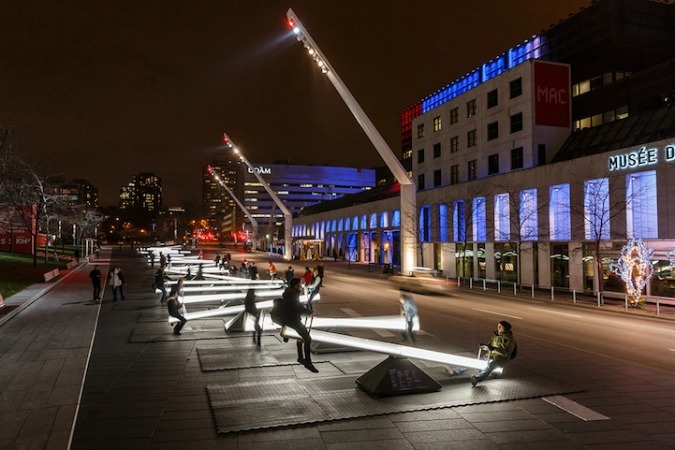 The entire installation, called Impulse, is located in Montreal’s Place des Festivals, where visitors can now embrace these playground toys to create their own art. Once they’re in motion, the seesaws generate harmonious tunes and illumination through their built-in speakers and LED lights. These pieces constantly change as they move up and down, allowing visitors to become spontaneous composers with one-of-a-kind instruments. The surrounding buildings are also incorporated into the installation experience, as imagery inspired by the seesaws is projected on them. (source). Swiss designer Fabienne Felder has worked with University of Cambridge scientists Paolo Bombelli and Ross Dennis to develop a way of using plants as “biological solar panels”. 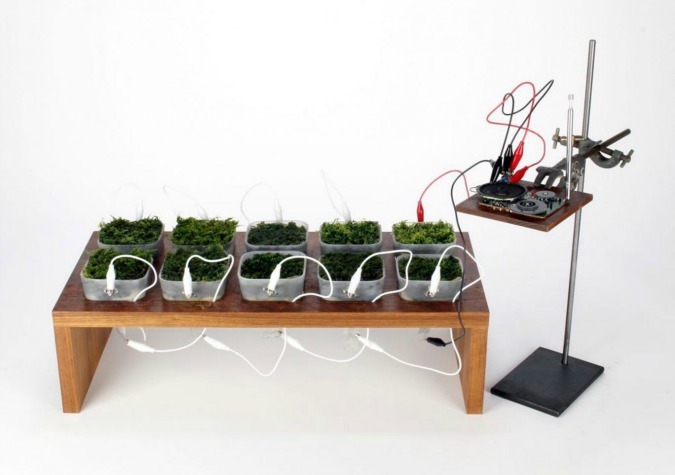 The team has prototyped the world’s first moss-powered radio to illustrate the potential of its Photo Microbial Fuel Cells (Photo-MFCs). 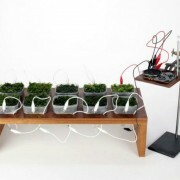 Moss was chosen because its photosynthetic process makes the plants particularly efficient at generating electricity. The radio is the first time Photo-MFCs have been used to run an object demanding more power than an LCD screen. The team has high hopes for the potential of this emergent technology. “We may assume that in five to ten years the technology is applicable in a commercially viable form,” they said. 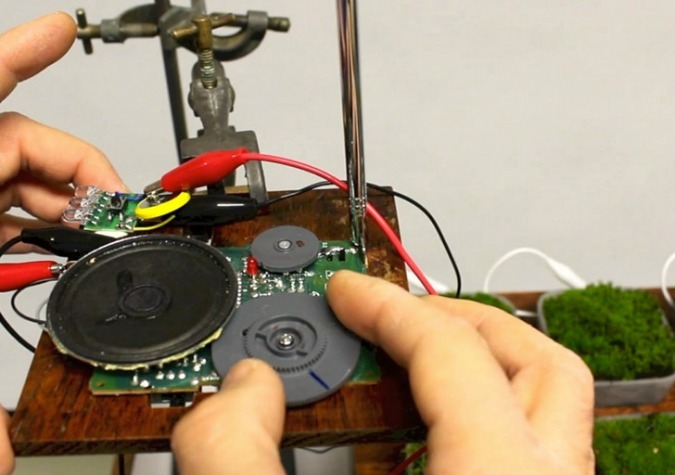 Currently the technology used in the radio can only capture about 0.1% of the electrons the mosses produce. (source). Set to “Fitzpleasure” by Alt-J, Stuart Gibson’s I Like to Fly captures Tasmanian locals and surfers interacting with their environment. Tasmania, an island off of the southern coast of Australia, is known for its avid environmentalism. A large portion of the island is dedicated to preservation of the natural landscape. 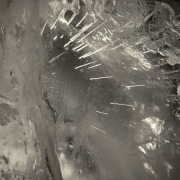 Using drone technology, Gibson manages to film on tops of mountains and crests of waves, revealing a type of nature usually inaccessible to most. He follows the coastal region of Tasmania, and in doing so reveals the severity of it, and the ability of people adapt to their surroundings rather than changing it. (source). 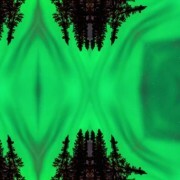 When San Francisco-based photographic artist Alexis Coram gave us Technicolour Alaska last year, we had no idea her three minutes of gorgeous aurora borealis timelapses would be a gift that kept on giving. After National Geographic published the original film in their Short Film Showcase this past weekend, Coram decided to return to her vibrant nature footage and experiment on it using kaleidoscopic post-production techniques. The result, a new film known as Technicolour Dreams, is a glorious reimagining of the natural light phenomena that has been a thing of fascination for centuries. Set to the majestic orchestral music of James Everingham, it’s three minutes of natural splendor that has us wondering why we don’t just pack up, sell the laptop, and move to Alaska already. (source). Grouplove’s Andrew Wessen & Ryan Rabin share their excitement about being involved with the Spirit Of Akasha soundtrack. 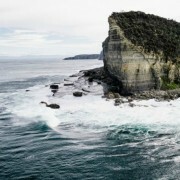 The Spirit of Akasha film celebrates forty years of surfing and the connections that humankind has forged with the ocean. 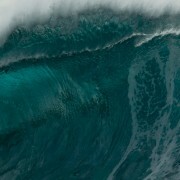 Throughout the film, surfing footage is paired with an original soundtrack created by renowned artists around the world. Grouplove talks about writing their beautifully chilled song, ‘Drifting On A Daydream’, in the middle of a hurricane in Pennsylvania, with only a ukulele and a guitar. Wessen describes his own inspiration, saying, “it’s my reset button, it’s everything that keeps me sane, it’s like – my ultimate fear is tied in with my ultimate pleasure which is surfing…. It’s a connection I’ve had since I was a little kid and it’s the most powerful connection of my life”. (source). The full Spirit of Akasha Soundtrack Sampler can be found here. Some Maasai people use a hallucinogenic substance extracted from the iboga plant as the initiation rite for the eunoto, a coming-of-age ceremony that aims to put one in touch with supernatural entities. But for the visionary journey into the latest music video for DJ Khalab, “Substance” is the guide. 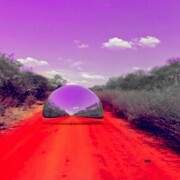 Created by Federico Zanghì in collaboration with Carmelo Micallef, the video is a psychedelic and metaphysical safari through the surreal-colored dirt roads that cross a savannah. It’s an exploration that follows the titular “substance” itself, a silvery matter that emerges from the earth and returns to it, spinning and transforming into different solids that reflect the surrounding landscape. (source). 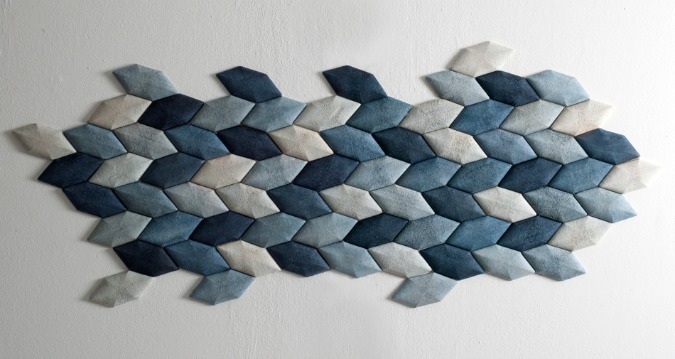 Mauricio Affonso has created Indigo tiles made from moulded Luffa, which may also lead to the next level in engineering equipment, as the luffa is a surprisingly effective acoustic insulator. 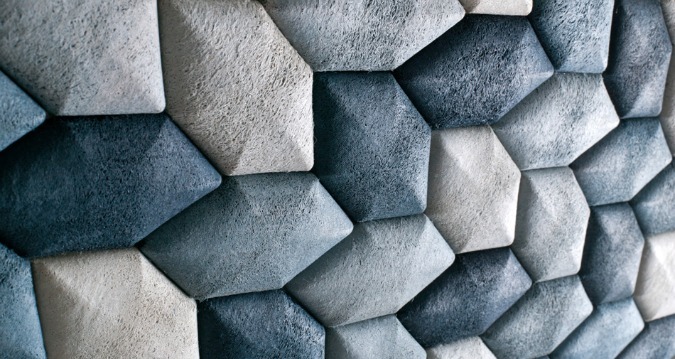 Soundproofing, the process of reducing sound pressure via a noise barrier using damping structures, is a delicate art that requiring dexterous materials that prevent sound leakage both in and out of a structure.The indigo colour is achieved by reusing wastewater from the denim-dyeing industry. Like most textiles, denim-making starts with plain white cotton. What many people don’t realize is that blue-jean process is poisonous to water supplies in communities such as Xintang, China. Luffa’s highly absorbent fibers can be used to soak up these harmful dyes that would otherwise be discharged. 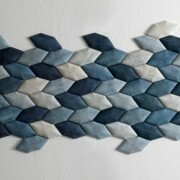 The result is a series of functional and beautiful indigo wall tiles. (source). Scenocosme (Gregory Lasserre & Anais met den Ancxt), ‘Akousmaflore’, Interactive installation, Sensitive and interactive musical plants. 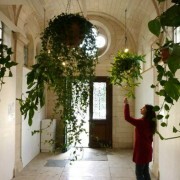 ‘Akousmaflore’ is an interactive installation, a small garden composed of living musical plants, which react to human gestures and to gentle contact. Each plant reacts in a different way to contact or warmth by producing a specific sound. The plant “language” or song occurs through touch and the close proximity of the spectator. Our invisible electrical aura acts on the plant branches and encourages them to react. The plants sing when the audience is touching or stroking lightly them. A plant concert is created. (source).